There are so many elements that go into planning a wedding. On top of that, the paper options are endless. You've searched high and low for the perfect wedding invitations and you can't wait to send them out. Make sure your coordinating wedding paper is just as fabulous as your wedding invitations! 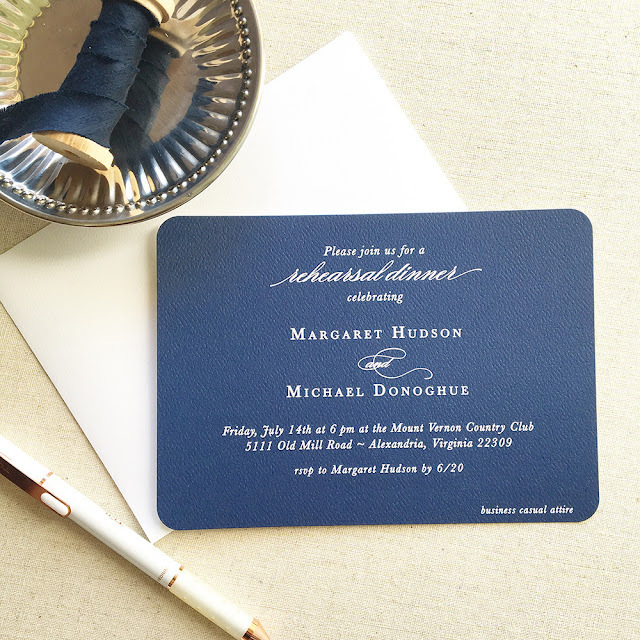 These rehearsal dinner invitations pack a major wow factor with their bold look and coordinate perfectly with our Traditional Wedding Invitation suite.